Sitting opposite to Brendan, you immediately see sparkles in his eyes – his passion, determination and his motivation when he speaks about his favorite Vice: Golf. 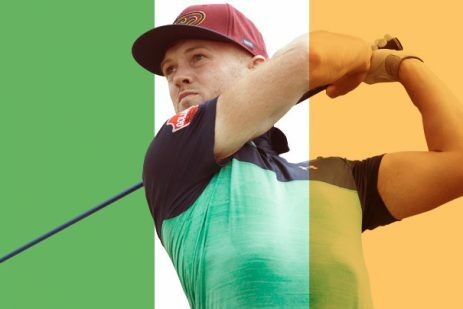 The down-to-earth Irish Golfer from Derry has been involved in sports all his life, played tennis, football and rugby when he was young – which led him to be a physically fit person – but golf turned out to be his real passion. 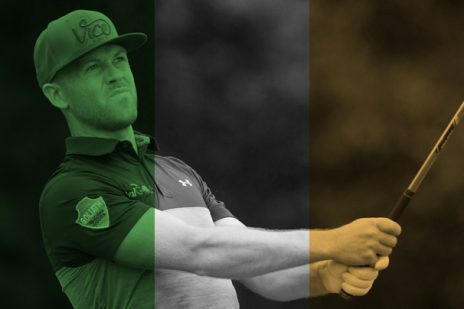 As a representing player of Ireland, he played international events from Boys to Senior level until he turned professional in 2006, 13 years ago. We´ll take a closer look at the young Irish Man. Vice Golf: Brendan, who and what has brought you into golf? Brendan: It was my Dad who got me into golf. My parents have videos of me at the age of two, swinging plastic golf clubs, but it wasn’t until I was 11 that I really got the golf bug. My dad was a scratch golfer and just loves the game so it was actually a matter of time before he got me hooked. Vice Golf: You have racked up quite a few wins so far. What were your greatest highlights in your golf career? Brendan: Certainly the four wins as a professional on The Alps Tour – retaining The Gosser Open in 2014 after the win in 2013 was very unique – being announced as the defending champion, it is very special to bring home the trophy again. What I´m most proud of is winning “The East of Ireland Championship” as an amateur. My home golf club Ballyliffin GC in county Donegal offered me a Honorary Membership which was very emotional as both my granddads were co-founders of the golf club. Vice Golf is like a family to me and more than just a company. Being part of that is great! Vice Golf: Which one advice would you give to anyone who wants to pursue a career in professional golf? Vice Golf: You have joined “Team Vice Golf” in 2018. What brought you to start this partnership? 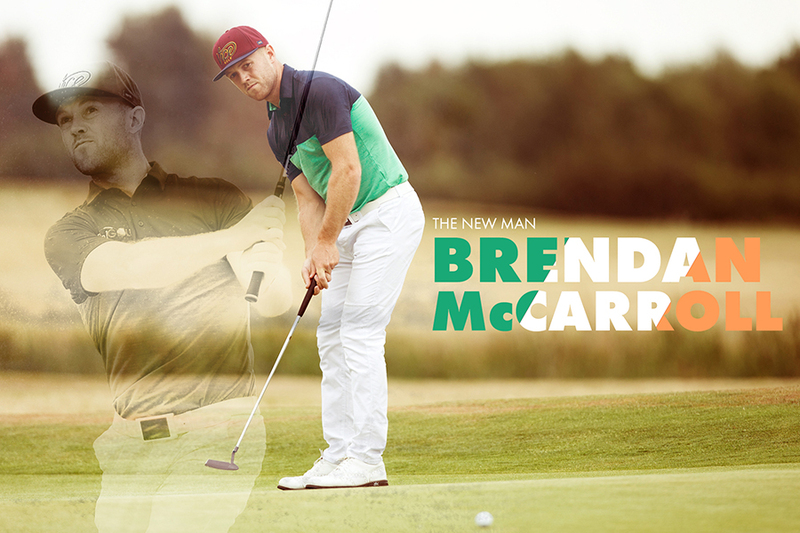 Brendan: I just love their brand identity and fresh approach to golfers like me. I feel like it’s a family more than just a company and being a part of that is great. Product-wise, the PRO PLUS is without doubt the ball that brings out the best of my game. Even minor accessories like their towels are so different to what the typical golf company comes up with. The Vice PURE glove with the hint of grey at the top just make them stand out. Vice Golf: What is Vice Golf missing in your opinion? Vice Golf: What are your long term goals in golf? Brendan: On the long term I want to gain my European and PGA Tour cards and of course win on each Tour. This may sound standard but with all the experience I´ve gained over the years, I really feel prepared to compete on the highest Tours, too! Vice Golf: As a professional golfer, you get around a lot. Which golf course is your favorite? Brendan: I’m very biased but it has to be Ballyliffin GC. I just love links golf, the ground is so much nicer to hit off. Ballyliffin is a great test of golf and also the views are unbelievable -definitely one of the best courses in the world and the fact it held Dubai Duty Free Irish Open last year just proves it. Vice Golf: Being away is usually a challenge for the private life. How has your relationship to your girlfriend Ruth evolved? Brendan: Pretty good I would say. Most recent is I got married to Ruth. She has been a huge help to me and my career for the last five years and she looks after my social media and is always there for me through my highs and lows. Early Bird or Evening Round? Par 5 or Par 3? 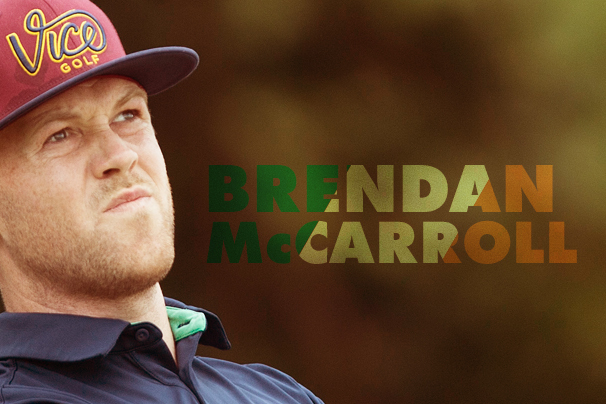 Posted in Golf, Lifestyle, Performance, photo credits to Euro Pro Tour, Sponsoring, Team VICE GOLF and tagged brendan mccarroll, golf professional, irish, team vice golf, vice golf. Bookmark the permalink.